1) Finding it was a book lover's dream. Last time I was in Manila, I spent an afternoon in Binondo's Chinatown. It was pouring and I decided to walk down a narrow alleyway; the rain fell hard and fast on the blue tarps that kept dozens of produce vendors dry. I saw a painted sign, with faded cursive lettering, for a Merriam-Webster bookstore. I walked up the creaky stairs and ended up spending so much time in front of a shelf of cookbooks that a security guard actually walked away from her post several times to keep an eye on me. I looked very out of place in this old, dingy, dusty bookstore. I paid the cashier and in return, got a look that said "Why would you pay for this old yellow cookbook?" with all the politeness of a tita who can tell you're not from around here. It was the best $7 I ever spent. 2) Every time I open it, I am always drawn in. That doesn't happen with 90% of the books I own. It takes me so long to decide on a recipe because I feel a need to make them all. I've heard people swear this book casts spells on readers. 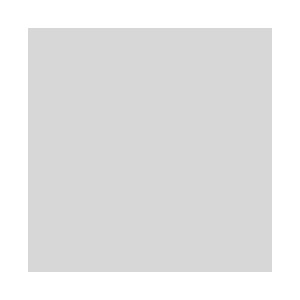 3) It's friendly, direct and reliable (though instructions sometimes need a bit of clarity). And I can't get over the illustrations. It's partly why I love leafing through this book! Nora gets it right because of everything she stood for and worked on. She's an icon and a doyenne who played the role that Julia Child played for millions of Americans - in other words, her books and TV shows taught generations of Filipinos how to cook. Nora went places. She left her childhood home in Pampanga and studied to become a home economist at the University of the Philippines, then continued on to major in hospitality at Cornell University in New York. Here, she trained and cooked in the same circles as Julia Child. Smitten by the techniques of French cuisine, Nora moved back home to open "Au Bon Vivant" - the very first French restaurant in the Philippines. She published her first cookbook, Let's Cook With Nora, in 1969. The next year, she moved to France and opened "Aux Iles Philippines" - which became the first Filipino restaurant featured in the Michelin guide. Then she moved back to Manila and made the hit TV shows "At Home With Nora" and "Cooking It Up With Nora". 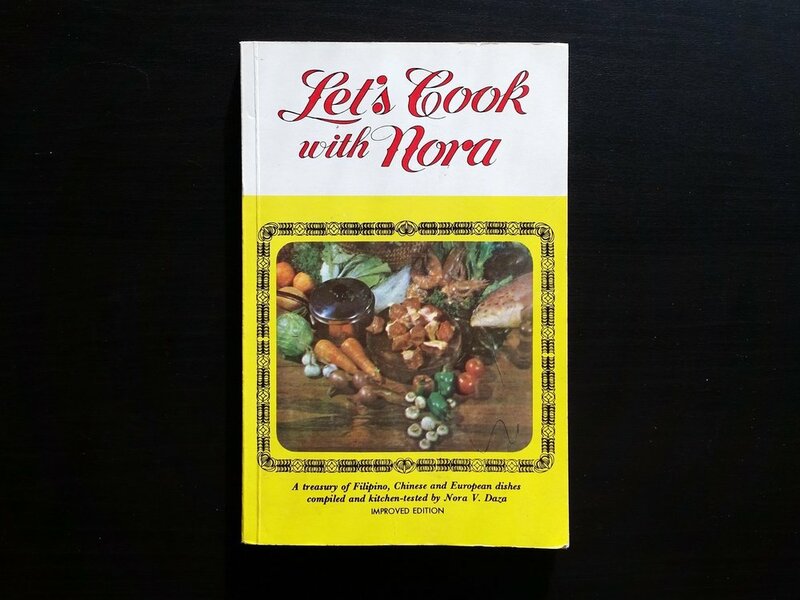 Over time, Nora wrote more cookbooks and made cooking competitions in the Philippines into a thing. She led "The Great Maya Cookfest" and trained scores of incredibly talented Filipina homemakers on various forms of culinary arts. Of the recipes I've tried from this book, only one has turned out less than spectacular, and that was because I chose to ignore her suggestion of using prepared liver spread for Caldereta. When I make her Pancit Molo, it reminds me of why I particularly love dumplings. They're inexpensive, filling and variable - and scaling up the recipe to make a double batch just makes sense. For the extra effort now, you could enjoy them fried to a crisp today and literally dropped into a pot of soup, straight from the freezer, later. Weeknight meal #1! Nora's Ginger and Onion Chicken has become a go-to when I don't want to think about dinner, but actually don't mind doing a little bit of prep work. It's weeknight meal # 2 that takes half an hour from start to finish, so I can move onto chores, writing or catching up on Netflix specials after. It's a nice feeling of accomplishment. I feel like an adult! I have yet to make one of her pies, though Sans Rival was very early on a dessert I needed to tackle. Layers of meringue, a chopped cashew filling and the prospect of making an airy buttercream frightened me. It shouldn't have! And while there's lots of room to improve on my meringue, Nora's straightforward method broke the process down into manageable steps that resulted in one tasty cake. On the cover, Let's Cook With Nora describes "a treasury of Filipino, Chinese and European dishes compiled and kitchen-tested by Nora V. Daza" within its 194 pages. It is that and so much more.